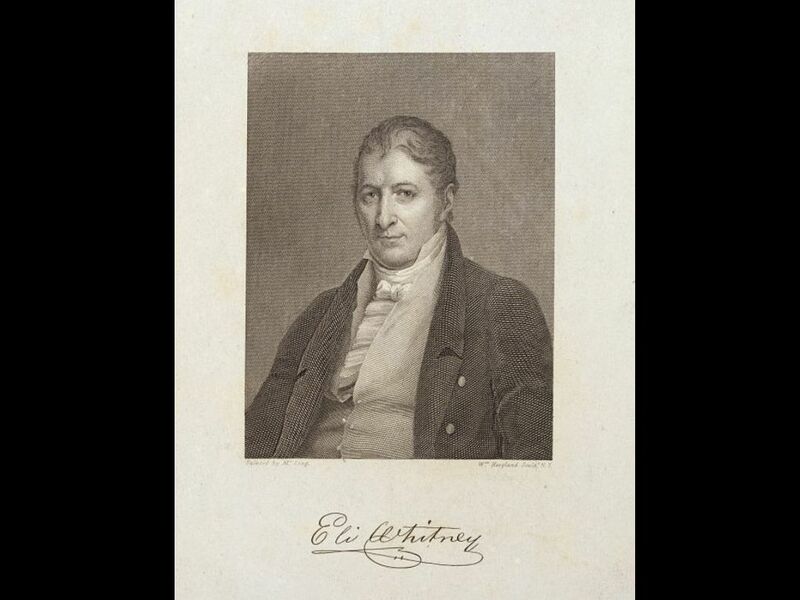 On March 14, 1794, inventor Eli Whitney patented on the cotton gin. American inventor Eli Whitney is most famous for patenting the cotton gin, although he made most of his fortune as an arms manufacturer. On March 14, 1794, inventor Eli Whitney patented on the cotton gin. A patent gives the patent-holder (usually the inventor) all the rights associated with their invention for a certain period of time. Whitney, however, did not profit from his invention, because he couldn’t stop other people from copying and selling his design. The cotton gin revolutionized American agriculture. Cotton grows on seeds, and the soft, fluffy part of the cotton needs to be separated from the seeds before it can be used for things like clothes and cotton balls. Before the cotton gin was invented, people (often, slaves) had to separate the cotton from the seeds—an incredibly time-consuming and difficult task. The cotton gin mechanically separated the seed from the cotton, and cotton was harvested more easily and efficiently. machine that separates the cotton material from its seeds. person who creates a new idea, machine, product, device, or process. legal right to make or sell an invention. to completely change a process or way of doing something.